In these modern times image it seems is everything. Join YOLO (you only live once) and FOMO (fear of missing out) as they encourage audiences young and old in their hilarious pursuit of the perfect selfie. 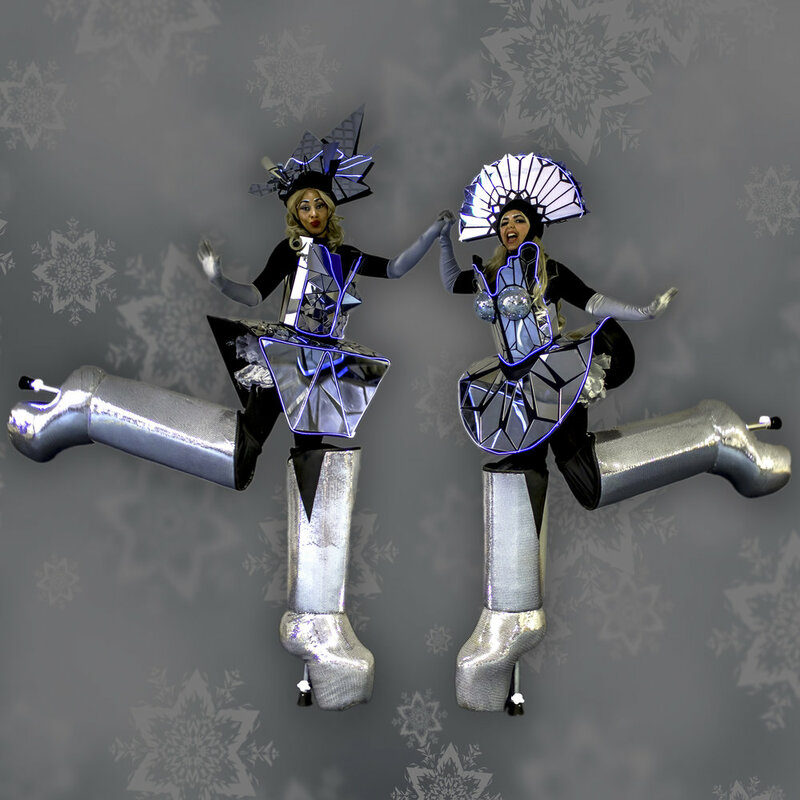 With their amazing mirrored outfits and fabulous high heeled boots these stilt walkers always attract attention wherever they go. Also available illuminated for evening events.